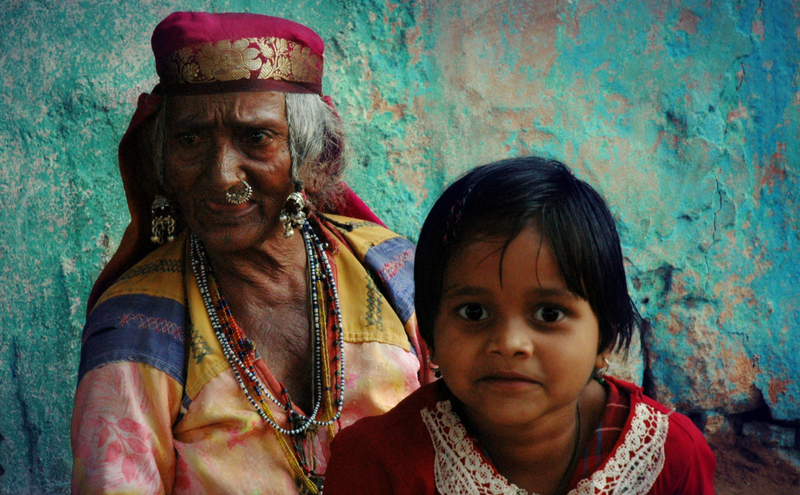 Seetamma, a 95-year-old woman, has gloomy eyes that speak a lot about the hardships she has faced. 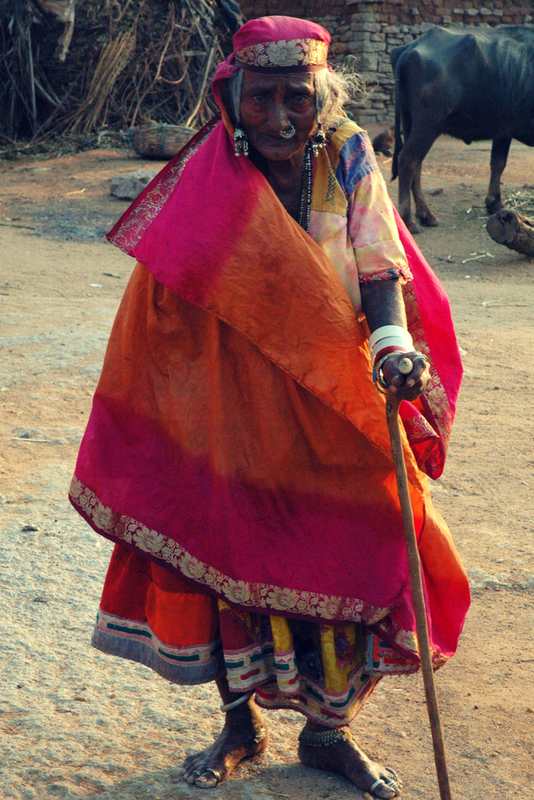 Her wrinkled skin still has charm, and her vibrant and exquisite costume hides her feeble body pretty well. “God can call me any day to his house, and my last wish would be to see my whole family together. I wish we had better facilities and employment opportunities so that my son didn’t have to leave,” Seetamma said. Reluctant to speak at first, she opened up a bit and talked about the appalling condition of her community, which has been almost the same for the three generations that she has witnessed. Congested small houses, lack of basic water and electric facilities, leaking drains are a common sight when you enter the residence of Lambanis in Yelburga taluk of Koppal district in north Karnataka. As you walk ahead, you would see small groups of ladies sitting dressed in their traditional attire, children who would gather around you and walk with you till the end of the street. When you peek into one of the houses, you would find a similarity, every house is constructed in almost a same way; it is dark and small. The life of Lambanis is a continuous struggle where they have to fight each day for basic facilities like health, water, electricity and education. 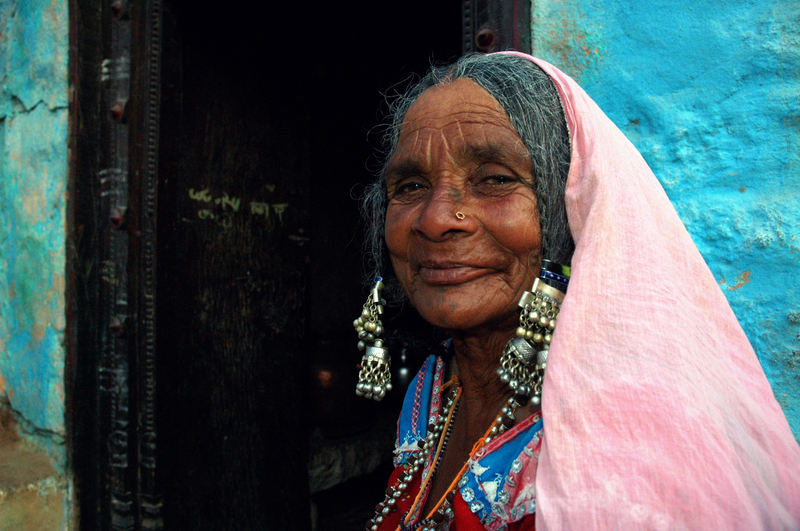 Lambanis are nomadic people who basically are from Indian state of Rajasthan, North-West Gujarat, and Western Madhya Pradesh. Their large part of the population is now located in Andhra Pradesh, Karnataka and Maharashtra as well. Lambanis were originally a class of Kshatriyas (the warriors). After the decline of Rajputs and invasion of the Mughals, they were forced to change their religion and faced many problems. They migrated to the jungles near the Western Ghats in South India. 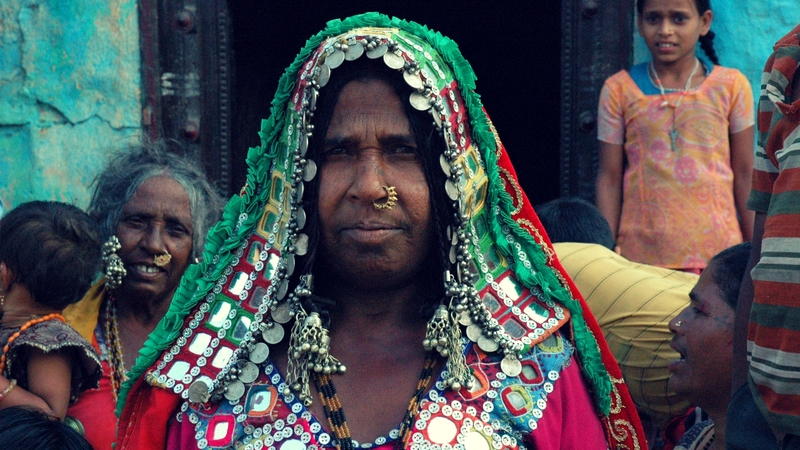 After the fall of Mughal empire, the Lambanis tried to go back to their origins in Rajasthan, but the place was already occupied by other locals, leaving Lambanis without a permanent home. Later, they moved to Uttar Pradesh, Maharashtra, Karnataka, Haryana, and Andhra Pradesh and involved themselves in farming, cattle rearing, and poultry farming. Though they are settled and active for centuries, they are still considered as nomads and face troubles in day to day life. 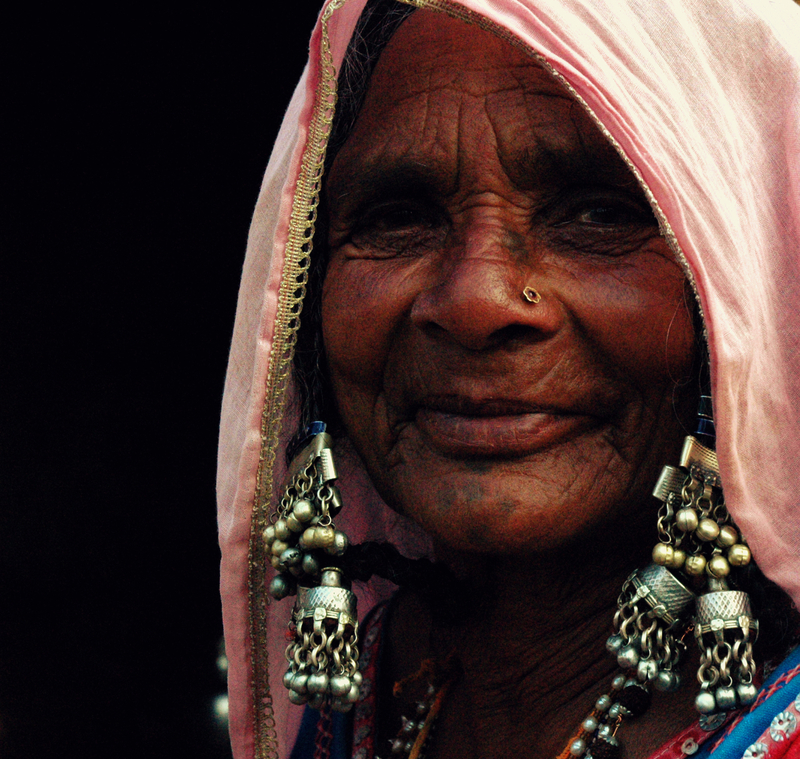 Many Lambani communities have been dominated by other local communities of the area they are currently settled in. This leads to a daily struggle of unemployment, illiteracy and rejection by the society. This has added to the rebellious nature of this community. Lambanis, who stay in groups in the outskirts of the village, now have even stopped trying to fight for their rights. They have accepted the harsh reality and are living their lives with whatever little they have now. Now, the situation is, this community is torn between two things— their tradition and modernization. They are fighting hard to fit in the modern society. This might be a good thing at one hand, while on the other hand, this perplexity has left them in the middle of two worlds. Neither they have completely evolved, nor have they been following their old customs and traditions. They are somewhere in the middle and that makes it even harder. The family size has reduced. Earlier, they all used to live together while today, the men of the house go to different cities in search of jobs, leaving their family alone. Many of the kids go to schools and colleges. They go out for further studies, some of them have managed to grab good jobs such as engineer, accountant etc. The improved education is a good sign, which showcases the community’s development. But, the older generation has different reasons to worry. They don’t like the fact that the young generation is detached to their rich culture. They aren’t aware of their traditional songs, festivals, and values. They are now so desperate to go out and live their own lives that they tend to ignore those they have left behind. “These kids just want to get out of this community. Somewhere they don’t feel too good about our traditions. They are ashamed of our costumes. 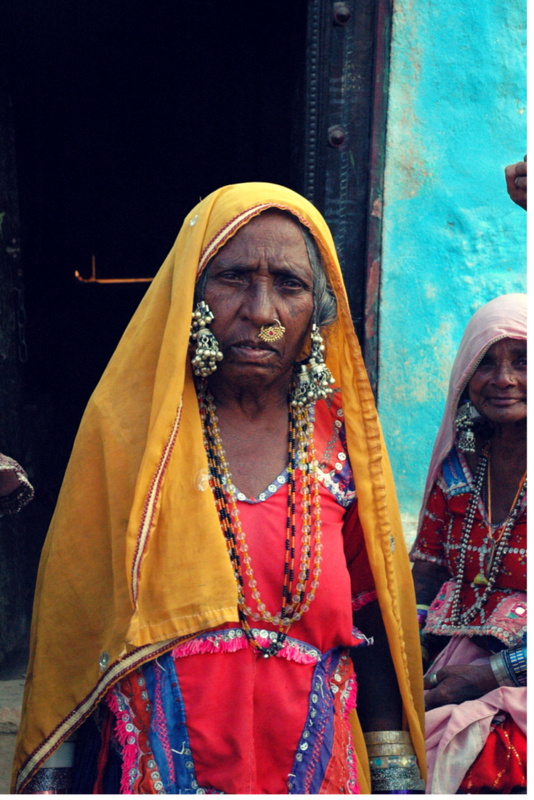 It is very disheartening to see that our rich culture is losing its value,” said Vimla, a 70-year-old lady. 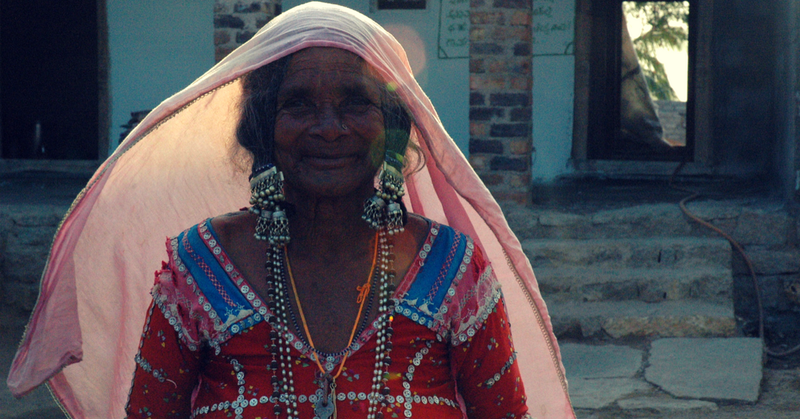 Marnal, a small village has around 50 families of Lambanis. Their main occupation is wood cutting, but it isn’t enough to fulfill the basic requirements of their families. So men leave their families and go to other cities like Goa and Mangalore in search of employment. “I haven’t seen my son since last three years. He went to Goa for some work and hasn’t returned yet. We miss him each day, but there is nothing we can do about it. He has to work so that he could look after the family,” said Seetamma. Seetamma is not the only woman in misery. The situation is similar for everyone who lives there. Nirmala hides behind the main gate of her house as she sees me. She was comfortable enough with me after I kept my camera inside my bag. Eighteen-year-old Nirmala had a pretty face, but she looked too pale and weak. “I was married when I was 16, I have a kid. I didn’t go to school, but I want my child to be literate. My husband left just after Shiv (her son) was born and hasn’t returned yet. I haven’t even spoken to him for six months. I don’t know if he will ever be back,” she said. 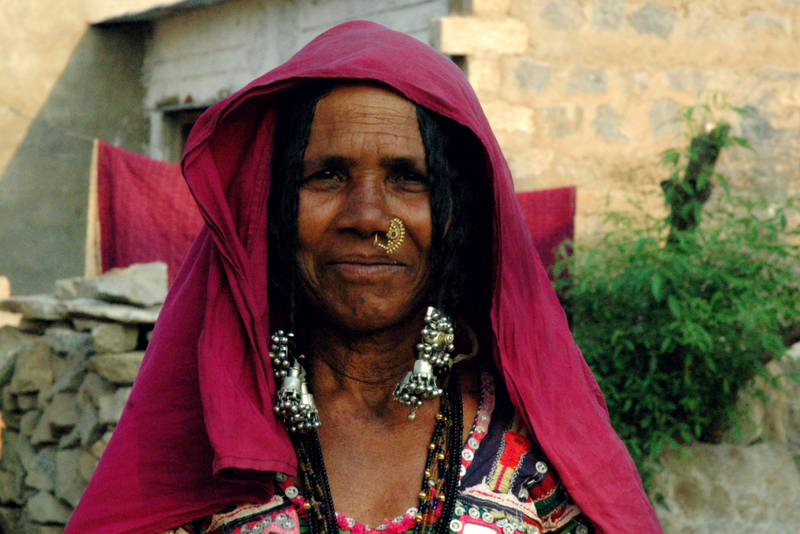 “There is not much to look forward to in life except my son,” she says, wiping tears off her face with her dupatta. Loneliness is not the only problem here. Water comes just once in every three days, they don’t have their own farms so they work as hired laborers in farms of other people. With the changing time, the Lambanis have been trying to adjust to the society. 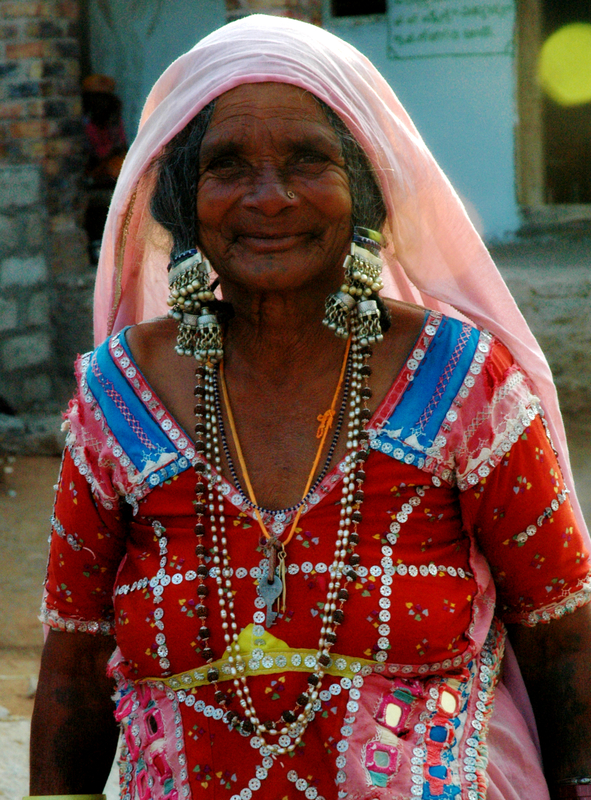 The younger generations have stopped wearing the traditional attire. “The costumes are heavy and very loud; our daughters don’t feel comfortable in these clothes so we have allowed them to dress up normally. It is sad to see the decline of our tradition, but this is something we have to do for our better future,” said Manjulata, a 42-year-old lady. Earlier, their dance performances, their songs, and rhymes, their plays formed an important part of their life. Members of the community would gather every evening and on special occasions and perform the art. But now they hardly do that. This community is listed as Scheduled castes in Karnataka. While in most part of the India SCs play an active role in politics, but this community hardly participates in elections except voting. Only 0.03 percent of these Lambanis stand in elections as contestants. The good thing is; they all have voter ID cards and they regularly vote. The main reason behind such backward state of Lambanis is the lack of awareness about their basic rights. The major concern of the older generation is that the youngsters aren’t aware of their old culture and they are scared of losing their identity. “Young kids don’t even know the lyrics of our traditional songs. They are not interested. They are all detached to the community,” said Yellappa Nayak, president of Lambani community in Yelburga. “They all want to go out and live the modern lifestyle, it is good to move forward in life, but they shouldn’t forget their original identity,” he said. With Lambani community’s rich cultural heritage it is hard to see that this community is facing so many troubles and losing its identity. The worst thing is, the situation has been the same since forever and nothing has been done to change it. There are many questions, which are left unanswered and many decisions, which are still pending to help this community to raise their standard of living. The urge to match up to the rest of the urban communities, the desire to improve their standard of living and determination to be a part of modern society has definitely encouraged them to take some steps towards the development. But, this isn’t as easy as it looks. In this race, only a handful of people have succeeded to bring a change in their lives. The situation of the rest of the community is still far from good. In fact, they are neither following their old culture and traditions nor are they part of the modern society. The question now is what can be done to improve the condition of this community? Can better steps be taken to ensure they get access to the basic rights? Can this community get equal opportunities of education? Can government set up a special board that can focus on the upliftment of this culturally rich yet ignored community? “Rich culture is losing its values” really this is the disaster of our modern society. I appreciate the author’s attempt.